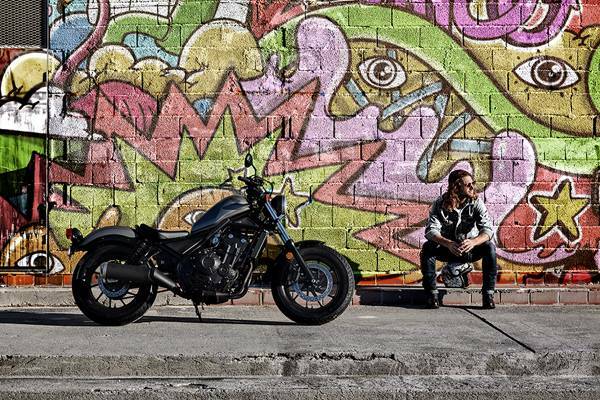 The CMX is a progressive new custom bobber that fuses tradition with ground breaking new ideas and perspectives while offering ample scope for owner customisation. 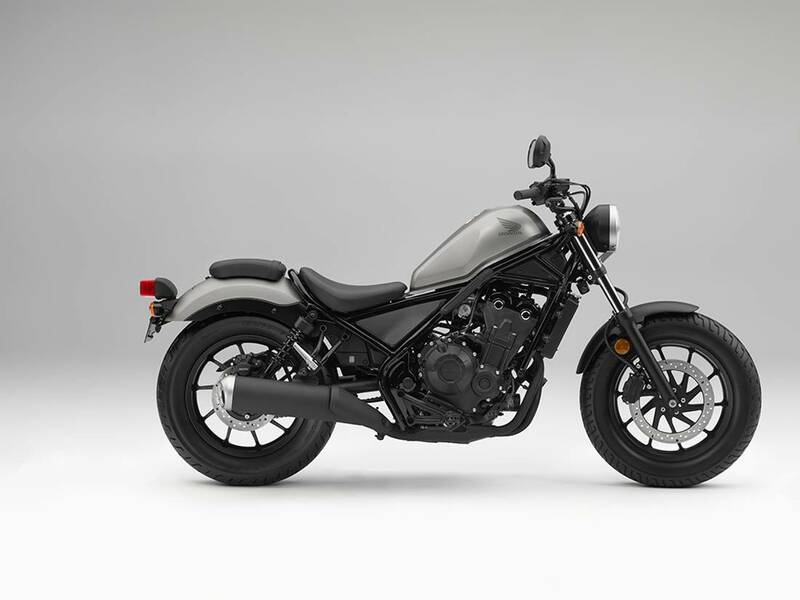 The new CMX is simple and raw but don't let the minimalistic design fool you; it is a Honda after all and every tiny detail matters. The low, lean silhouette is crowned by an iconic fuel tank, aggressively raked front end and fat 16 inch tyres on large diameter wheels. 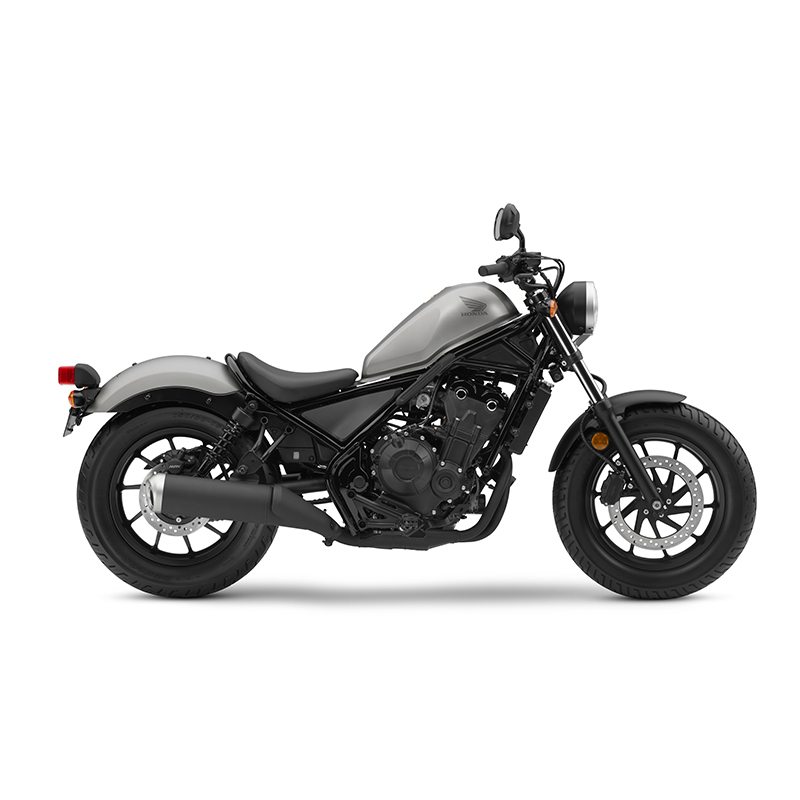 The stamped steel rear fender and narrow frame body result in a stripped form expressing offbeat individuality from every angle. The CMX riding position is relaxed and neutral, with arms gently outstretched and feet dropping straight down to the mid-mounted pegs. Good ground clearance allows surprisingly sporty lean angles. To support the CMX's lowslung look, its attractive tubular-steel frame holds the engine in three places and is designed to be as narrow as possible around the rider's inseam. Trail is set at 110mm with 28° rake. The engine has reduced friction through the addition of striations on the piston skirt (a finish that increases surface area, introducing gaps in which oil can flow for better lubrication). An AB 1 salt bath process, used after isonite nitriding, forms a protective oxidisation membrane. CMX crankshaft pins are phased at 180°, and a primary couple-balancer sits behind the cylinders, close to the bike's centre of gravity. The primary and balancer gears use scissor gears, reducing noise. The crank counterweight is specifically shaped for couple-balance and its light weight allows the engine to spin freely, with reduced inertia. The crankcase uses centrifugally cast thin-walled sleeves. Their internal design reduces the "pumping" losses that can occur with a 180° phased firing order. A deep oil sump holds 3.2 litres. Six-speed gearbox is designed to offer effortless changes. Blacked-out mechanical components for a tough, minimalist look. Specially designed muffler looks good and emits a pulsating exhaust note.